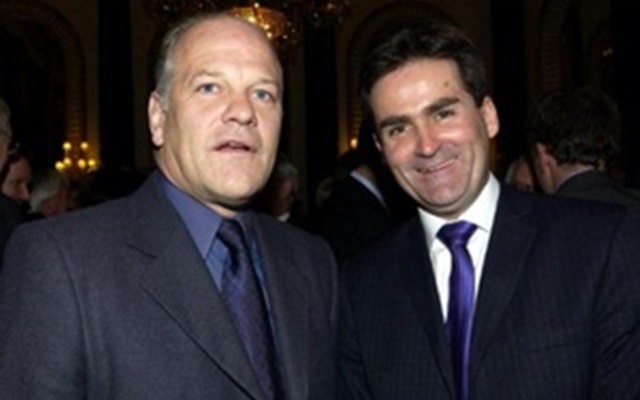 One of the biggest media storms in recent memory lashed Sky Sports last month, when presenters Andy Gray and Richard Keys were caught making sexist remarks. The pair questioned the ability of a female referee’s assistant, claiming women don’t know the offside rule and are therefore obviously not up to the job. Their outdated exchanges thankfully resulted in Gray getting sacked, with Keys resigning soon afterwards. Crucially, both did so after further damning footage of their antics appeared. At the time you couldn’t pick up a newspaper or turn on the TV without seeing the story; the media spotlight was on full beam. However, further offensive comments from Keys that surfaced last weekend seem to have slipped under the radar. On Sunday, the Mirror released an audio recording of Keys making a racist remark about former Ipswich and Nottingham Forest striker David Johnson. While discussing the black player’s eligibility for the Scottish national team with guests Graeme Souness and Ray Wilkins, Keys casually referred to Johnson as a ‘Choco Jocko’. Neither point excuses what Keys said. Yes, we have all made mistakes in the past and I’m sure most of us say things we might otherwise not if we knew others were listening. Nevertheless, a key part of showing you have changed is accepting responsibility for your past mistakes. There is little sign of this in Keys’s statement. The presenter did apologise for his sexist remarks in a live interview on TalkSport radio, although any responsibility taken for his actions was overshadowed by his keenness to blame the ‘dark forces’ at work. Keys talked about a vendetta, referring to the continual leaking of off-air footage of him and Gray. It is clear that he is bitter over what he sees as a betrayal of trust, rather than reflective about his bigoted views. While the leaking of footage certainly raises questions about what should and shouldn’t be private, the whole affair was more dark ages than dark forces. If a disgruntled colleague is behind the leaks, Keys has seemingly provided plenty of reasons for them to do so. He may not think he’s racist but Keys’s views are not only outdated, they are outrageous. There is a tendency in sport to dismiss offensive comments as dressing room banter, but they have no place in other parts of society so why should they be acceptable there? The rambling, ranting apology Keys delivered on TalkSport was seen by many as an on-air resignation letter to Sky. It appears to have also served as a job interview for the radio station, which has since signed up Keys and Gray as presenters; reportedly on handsome contracts. Everyone deserves a second chance; however the speed of their appointments leaves a nasty taste. There is no sense of a period of reflection or any kind of rehabilitation for the disgraced duo. TalkSport have rather predictably described capturing Keys and Gray as a “sensational coup” for the station. Like most things in modern football, it seems money talks. The pair made their debut on Monday, with no on-air apology or indication of a fresh start – carry on regardless seemed to be the message. If behaviour like theirs continues to be rewarded with another pay cheque, there is a real danger that the mindless sexism and racism they have shown will carry on regardless too.